Look out for the new film, Mary Poppins Returns! 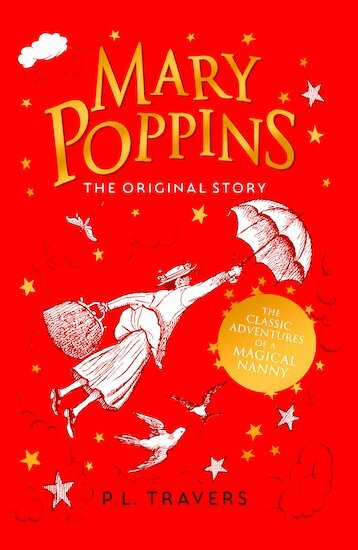 Beautifully written but the personality of Mary Poppins charachter was a drastically different than the P.L. Traveler book series. Excellent opportunity to show students the reason why you should always read the book as well as watch the movie. The stories of Mary and the children’s adventures never end! This is a great classic! Would recommend to a friend! this book is great but not like the movie i was really sad about jane and michal because there family does not thinks or cares about them you better read it. This book is a classic. I read it when i was young and in my opinion the book is better than the movie. I love this film and I love reading so this book brings them both together. For once the book is just as good as the film!! Or is the film better?? I’m not sure, but I’d read the book first as the book doesn’ seem as good after.